Despite Delaware’s small size it is still a very popular state for college students seeking degrees and employment. Researching the available scholarship and grant programs is a great way to make going to school affordable for you and your family. Delaware offers a variety of grants and scholarships, either based on academic achievement or financial need, and sometimes both. There are scholarships geared directly towards a specific field of study. Some scholarships have future commitments you must fulfill, such as working with in a certain capacity or with a certain employer. For example, several hospitals in Delaware offer scholarships to students entering nursing studies, but in order to receive them the student must be willing to work for the hospital. The term is usually two years and is based on the amount of money borrowed. Several schools do this as well, in order to acquire teachers, especially in areas of teaching that are currently understaffed. Other scholarships simply require that the student maintain a good grade level, usually a GPA of 3.0 and above. Students that fall under the required GPA will lose the ability to qualify for renewing their scholarship. Whatever your needs are, your first stop should always be the Federal grant and loan programs. Most colleges and trade schools make this a requirement anyway, as the Federal grant program, known as FAFSA, will determine your financial eligibility for other award programs. FAFSA has billions of dollars reserved to help students complete college without it being a financial burden. The application process may seem lengthy but don’t let that stop you from applying. FAFSA is the Free Application for Federal Student Aid and is open for everyone to apply. The FAFSA application will determine how much money you or your family will be able to contribute to your tuition and material costs. The less you’re able to pay the more FAFSA will provide. FAFSA grants can be applied for through the mail, over the phone or via the internet. When you’re using the internet you will need to apply for an electronic pin number, which is a virtual way of signing your documents. You’ll need to fill the FAFSA out and have your award amount before you can apply for other Federally funded programs. Your FAFSA award amount will be paid directly to your school. If there is a remaining amount after your tuition has been met the school will pay it to you at their discretion. Usually this will be after a month or two of classes to ensure that you intend to stay in school. Remember that applying for FAFSA at the above address is free. There are websites that charge you a fee to apply for the FAFSA. These sites are personal websites and are not affiliated with the government, nor do they genuinely make the application process easier. There are two Stafford loans: subsidized and unsubsidized. Subsidized loans are based on financial need and not on your credit report. You can be granted a subsidized Stafford loan without good credit. While you’re in school the government pays your accruing interest for you, as well as for up to six months after you’ve graduated. The interest rate thereafter is low. The student is responsible for the interest during the school year if he or she qualifies for an unsubsidized loan, which is not based on financial need. The interest rate is somewhat higher for this type of loan but there is still the option of a six-month grace period after graduation during which the graduate is allowed time to find a job in their given field of study. Loan amounts are based on the field of study and how many years of college the student has behind them. Freshman can expect to borrow much less than a senior. Students looking to earn a degree in art may expect to borrow less than a student entering into the nursing profession. Now we’ll discuss specific Delaware scholarship and grant programs. Many of these programs require that you go to the Delaware Department of Education website in order to fill out a Common Merit Application. Students must demonstrate serious financial need in order to qualify for the ScIP, a program which they are automatically considered for when they fill out FAFSA and enroll in a non-profit, regionally accredited school in Delaware or Pennsylvania. This is a grant and does not need to be repaid. Eligible students must be U.S. citizens and residents of Delaware. They must be enrolled full-time in an undergraduate or graduate program of study that is not available at a public university such as the University of Delaware. Students enrolled at the University of Delaware and such facilities will not be eligible. Certificate programs are not eligible either. Award amounts are based on a combination of financial need and academic merit. The amount increases with higher student achievement. Graduates are eligible for a set amount of $1000; undergraduates are eligible for award amounts ranging from $700 to $2200. Any student with a GPA lower than 2.5 will not be considered for this program. This grant is designed to help low-income working adults to return to school. In order to be considered eligible the student must be able to verify that their income falls within grant guidelines, be a Delaware resident and a U.S. citizen. Applicants must be 18 years of age or older and possess a high school diploma or GED. Polytech Adult Education; and Sussex Tech Adult Division. Award amounts reach a maximum of $2,000. Applicants must be working part-time in a Delaware institution. If working full-time the applicant must work for a small company with fewer than 100 employees. Employees of the government are not eligible for this grant. Students applying for this scholarship should be Delaware residents and legal U.S. citizens. They should be high school seniors who have already filled out the FAFSA to determine financial responsibility for tuition and materials. This scholarship is heavily based on academic excellence, as a combined SAT of 1350 or more is required to be considered or having been in the top percentile of their class during their senior year of high school. Students must be enrolled full-time at Delaware State University as well. Award amounts are expansive and include full tuition, room, board and fees for all materials and books. These awards are delivered annually and can be renewed three further times, based upon the student maintaining a GPA of 3.0 or higher. You may apply at the web address above. You will additionally need to complete a 1000 to 1200 word essay and have your high school transcripts delivered to the University. Students enrolled full-time in an accredited school with the intention of gaining their RN or LPN, who are Delaware residents and US citizens, and who rank in the top half of their class can be considered for this program. 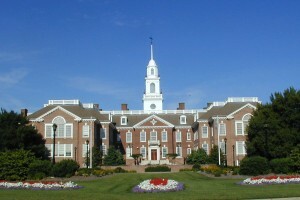 Employees of the state are exempt from residency rules and do not have to be considered Delaware residents. RN’s who have had their license for at least five years and who are returning to school to earn their Bachelor’s may also qualify for this program. Loan amounts will not exceed the cost of tuition, books and other school-related fees. Loans are renewable for up to three years as long as the student maintains a GPA of 2.75 or higher. In return for being awarded this scholarship the student must be willing to enter into a working contract with a state-owned hospital for one year equal to each year of scholarship awarding. The state hospitals eligible for working out this scholarship obligations are: Governor Bacon Health Center; Emily P. Bissell Hospital; Delaware Hospital for the Chronically Ill; Delaware Psychiatric Center; Delware Veteran’s Home; and the Stockley Center. March 26 is the deadline for application, high school or college transcripts and all information to be submitted for review. Applicants who apply after this deadline may considered only to the extent that funding is available. Students wishing to apply for this scholarship must be Delaware residents and citizens of the US. They should have been in the top half of their senior class and have scored a combined 1570 or greater on their SAT and enroll in a college or university with the intention of gaining their teaching certificate. Undergraduates must have maintained a GPA of 2.75 or greater. Preference is given to students who intend to enter into an area of teaching that is considered a critical needs area, meaning that the number of teachers to meet the need is too few. These areas are: bilingual teachers, business education, English, English to speakers of other languages (ESOL), foreign languages, math, music, reading, science, school librarians, special education and technical education. This award is given annually and is renewable for up to three years. The scholarship amount is not to exceed the cost of tuition and expenses directly related to educational needs. Maintaining a GPA of 2.75 is necessary to be considered eligible for this scholarship year after year. The student will be expected to enter into a contract for employment for an amount of time of one year equal to each year of scholarship awarding. This loan repayment program is designed for professionals who have a degree in the medical field and who are willing to commit to two to three years of service. Advanced-degree professionals are eligible to qualify for $70,000 in loan repayment for two years of service or $105,000 for three years. Mid-level degree professionals can expect to qualify for $35,000 for two years of service or $52,500 for three years of service. Professionals include, but are not limited to, nurse practitioners, primary care physicians and licensed therapists. This is another program that awards scholarships to students who are willing to repay their loan amount by working in their chosen field, this time for two years equal to each year of their scholarship awarding. Students must be Delaware residents and US citizens, be enrolled full- or part-time in a program that will earn them a master’s degree in library and informative science. The Librarian and Archivist Incentive Program looks at academic merit, financial need and community service. Preference will be given, however, to those who are already employed at a library or archival institution. Scholarships will not exceed the amount of tuition and materials needed for education and is renewable for up to three years. Applicants must fill out the FAFSA prior to applying for this scholarship. There are many different types of Delaware scholarships and grants in addition to the ones mentioned here. Students should inquire with the university or college they’re enrolling with to see if there are any scholarships available exclusively through their school. Though many scholarships are based on financial need or are awards that are not allowed to cover your living expenses as well, there are still loans you can apply for. Student loans are largely based on creditworthiness but the amounts you can take out are significantly higher than with grant or scholarship programs. You will have the freedom of spending you student loan in any way you wish. You may pay for your housing, utilities and buy a car with your student loan. Most student loans don’t require that you begin making repayment until after you’ve completed your courses and found a job in your chosen field. Be careful, though, when taking out a student loan. As it is much easier to borrow a large amount of money, many students have gotten into financial difficulty after graduation. It can take many years to pay off a student loan. Be sure to borrow only the amount you truly need to make your education easier to achieve. Don’t use it to take an expensive vacation to Paris. The job that you earn after getting your degree should be able to pay for that for you.